Artoconecto Announces Exciting New Partnership with Borscht! The Borscht Film Festival (est. 2005) is an annual exhibition of new works by emerging Miami filmmakers. Each year we reunite to share our work at an iconic Miami venue, surrounded by local artwork and music. We believe in Miami’s potential to host a world-class independent film industry. We are doing our part by collaborating to tell stories about, inspired by, or set in the city that go beyond the typical cinematic notions of Miami as a beautiful, vapid, backdrop. Our Miami has the richness of character to compete with Woody Allen’s New York, Fellini’s Rome, or Godard’s Paris. We want you to join us in telling Miami’s stories and shaping Miami’s onscreen legacy. Any artist under 33 who lives and works in South Florida, as well as artists who were born, grew up, or were inspired by Miami and have moved elsewhere are invited to participate. The event is always free and open to the public. The fourth annual festival’s theme is CCCV (triple-cee vee, or Miami’s iconic 305 area code in roman numerals), was a celebration of Miami’s idiosyncratic culture. The Short Film Showcase took place at the historic Tower Theater in Little Havana. Miami Herald http://www.miami.com/see-do/a-bomb Thank you Jipsy! Don't Forget to RSVP for the VIP Sneak Preview! Purvis Young's earliest works were painted with whatever materials he could get his hands on. One of his first public projects involved colorful plywood hung in the windows of abandoned Overtown buildings. Back then nobody worried much about preserving many of these pieces. 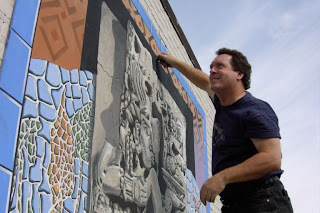 Now, Young has been recognized as a true artistic talent, and the administrators of the Bakehouse Art Complex and Artconnecto have made restoration of a mural he painted on the building's walls in the early '90s a priority. Known simply as "The Mural," it has sustained damaged over the years do to the elements and neglect. An event celebrating the kick-off of the restoration is scheduled this Saturday, September, 13 at 10:00 am at the BAC (561 NE 32nd street, Miami FL, 33127). Young will meet renowned muralist Byron Peck for the first time. 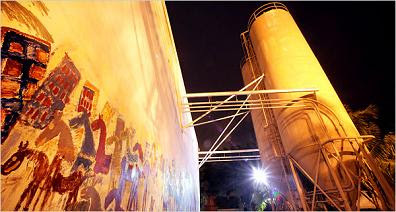 The two will discuss plans for the restoration of the mural. Alexandra Rangel arrived in Washington, DC from Venezuela nearly twenty years ago. Upon receiving her B.A. 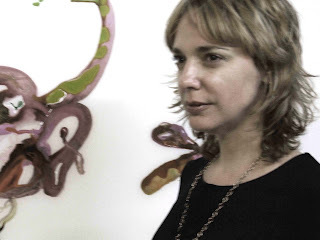 in Mass Media Art and Television Production, from the University of the District of Columbia in 1999, Alexandra began her journey in the pursuit of the perfect Art Show. 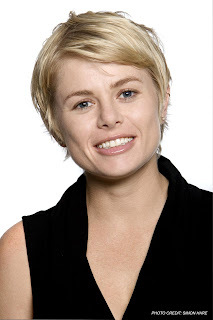 While working as an associate producer for National Geographic, Alex realized that she was dissatisfied with the conservative culture of many of DC’s art galleries and the DC art scene in general; and she sensed that many of the people who wanted to see exciting art by new or upcoming artists, had no options in the DC area. She also understood that many emerging artists, who had a burning desire to show their work, did not have any venues in which to do so. 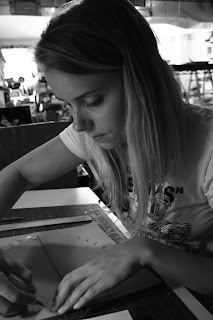 She recognized that she would have to create a space, and Artoconecto was born. A recipient of the prestigious City Arts Projects grant three years in a row, Alexandra turned Artoconecto from a small, Adams Morgan neighborhood art show, into one of the premier ‘underground’ art shows in Washington, DC. Fifteen shows later, many produced with the help of the DC Commission on the Arts and Humanities, as well as the National Endowment for the Arts, Artoconecto took a three-year hiatus, as Alex moved to Miami, FL, and, with husband Danny Brody, opened Stop Miami. This notorious Wynwood/Design District wine & tapas bar became a local hangout for all manner of creative types, including writers, artists, gallery owners, and collectors, and was a showcase for many local artists and musicians. When it was shuttered in 2007, Alex formed a partnership with Bakehouse Arts Complex to help finance and produce their Wynwood Art Walk openings, which included the wildly successful 'Pablo Cano in Wynwood'. She shares with Bakehouse the mission of continuing to nurture and support the creative process, development, and growth, of artists. Miami Herald Raves About Artoconecto Launch Party!